When it comes to open-world gaming, the technology available for developers has allowed the bar to be set very high in terms of content, quality and the quantity of gameplay hours. Developer Appeal Studio sure has their work cut out for them with their upcoming remake of Outcast, which was released in 1999, but the team are feeling pretty confident with new details and a video for the HD remake OUTCAST - Second Contact. Long story short, the source code is still there, in C++ coding language, but it then uses the Unity game engine to improve the graphics and audio, the physic system as well as the interface. This has a lot of implications and served our main priority: create state-of-the-art visual rendering of the environments and breathe new life into this world. This technique really shines in the details. For instance, the location of each tree has been respected, but we re-sculpted everything by hand, from the bark, the growing alien roots, the Adelphian ivies, to the leaves illuminated by our dynamic lighting. 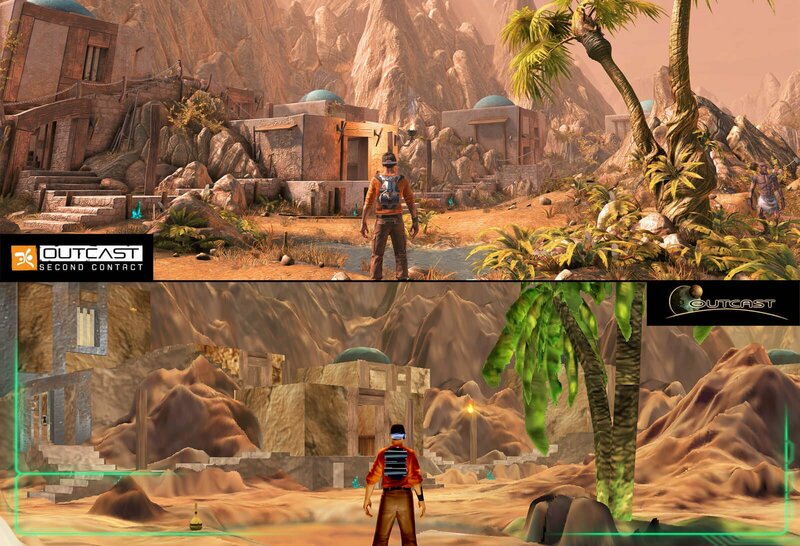 OUTCAST - Second Contact will be making its way to the Xbox One this Autumn. We've got the full list of Outcast - Second Contact achievements - check the list for guides to unlocking them.